take it slow and easy you get far just have to lear the programme. nice wallie! background is good and character too! you should put more stars but... it is ok! Wows! Looks great! The composition's wonderful and you've made a very lovely background^^ Great job! the planet in the back looks good but the black buildings in teh back or whatever that is aren't that good because of the black bg. 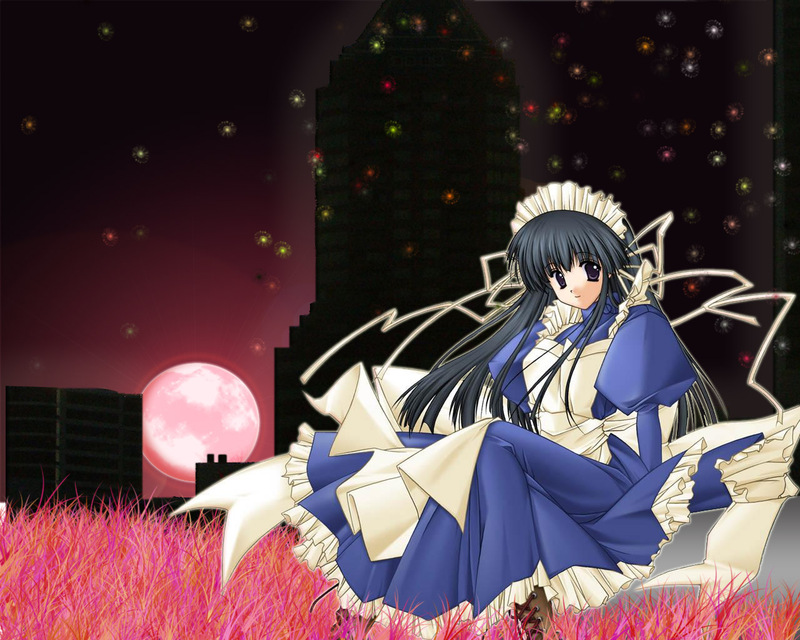 then the grass is to bright, it would maybe be better if you would choose another color for the glow around the chara. Hmm...the background should be made with a little more detail...other than that, great wallpaper!!! T_T XP XP XP very cute!!!!!!!!! i like her and the backgorund is very pretty too!!!! Very pretty wall! I like the pic you used. The colors don't quite match, but, its really a cool wall anyways. Nice job! i like it ^^ its very pretty. she looks like a made. How'd u do the buildings? they look great! and i agree with idril and kain11... add more stars and it'd look even better! Very nice wallpaper!!!!!!!!!!!!!!!!!!!! The bg is great and the scan is wonderful!!!! !